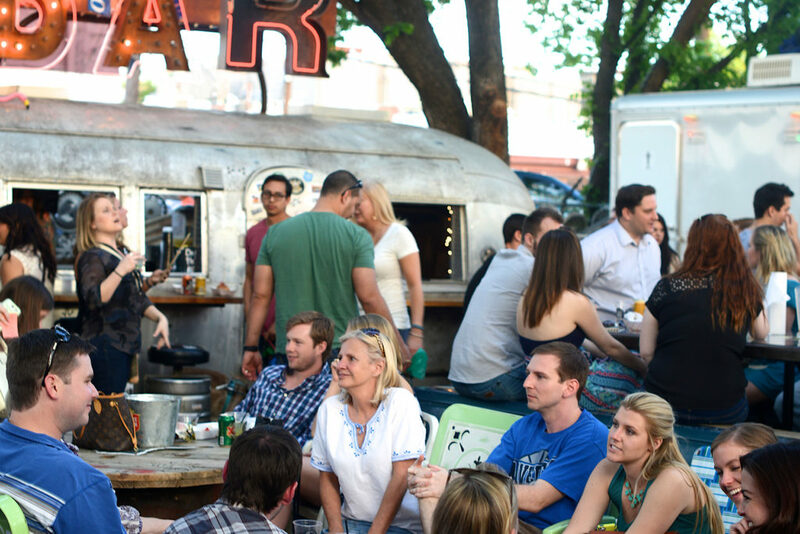 The distinctive junk shop atmosphere of this Lower Greenville patio is an ideal place to enjoy live music, catch a game, or—and this is probably what you’re really interested in—just knock back a couple of cold ones. Food trucks park along the far wall, and there’s also a treehouse. Readers’ Pick: The Rustic has an outdoor bar in its gigantic backyard, complete with hanging lights, oak trees, and picnic tables. This no-frills club in East Dallas hosts everyone from local stalwarts to celeb spinners (such as James Murphy of LCD Soundsystem), and the expansive space with a light-up floor—there may be a few frills—is perfect for dancing. No sweaty, shoulder-to-shoulder atmosphere here, unless that’s what you want. Plus: the Disco Kids night lets the younger set (and parents) get in on the fun. Readers’ Pick: Candleroom has state-of-the-art sound and lighting fixtures and a variety of DJs. And, yes, there are candles. When you are served a cocktail with a hand-cut ice diamond in it, you know the bar you are at is the cat’s meow and also that it is an okay place to use the phrase “cat’s meow.” The Mansion Bar is mysterious yet romantic and inviting, and it has a signature cocktail list that includes that ice diamond wonder, the Mansion G&T. There is a dress code, so don’t expect to stroll right in without looking spiffy first. Readers’ Pick: Draft Media Sports Lounge is on the first floor of the downtown Sheraton, but stepping into the 4,000-square-foot space loaded with big screens, it is hard to tell. Chef Abram Vargas’ lively take on Hungarian dishes and elevated pub fare is the perfect fuel for a night out. The Csavargó sandwich is a must. Tender pork belly and Gyulai Hungarian sausage are topped with shredded greens, house-picked jalapeños, and thick slices of tomatoes, all sandwiched between two slices of panini bread slathered with tangy mustard. Bonus: the kitchen is open until 1:45 am seven days a week. Readers’ Pick: The Holy Grail Pub has made-from-scratch European favorites and a modern American menu that includes a weekend brunch. 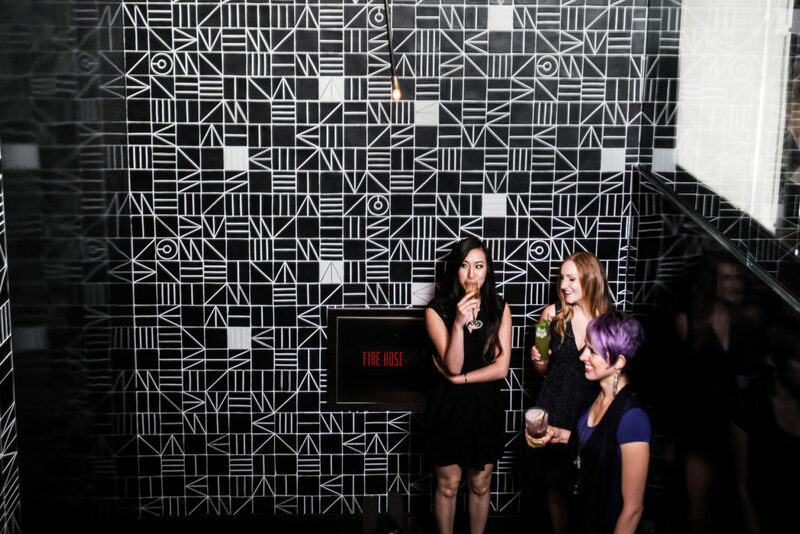 Along with a ’60s-chic aesthetic, The Joule’s underground cocktail lounge is staffed with attentive, knowledgeable bartenders who specialize in clever cocktails with exotic ingredients. Although the menu welcomes seasonal additions, we suggest the Rambler’s take on the Old Fashioned. Readers’ Pick: Candleroom is upscale and classy, and the cocktails here match the space. Warning: this 30-year-old bar is dark and smoky, and the first time you walk in, you’ll get the once-over from the regulars. That is, if they aren’t passed out at a table. You won’t find fancy bar bites or house-made bitters. Just cold beer, friendly bartenders, and setups for the hard liquor you tote in yourself. Back in the day, you might find crews from nearby Love Field here (hence the name). Have a couple and use your imagination. Readers’ Pick: For bar food, cheap drinks, and a delightful cast of characters each night, the Lakewood Landing is it. 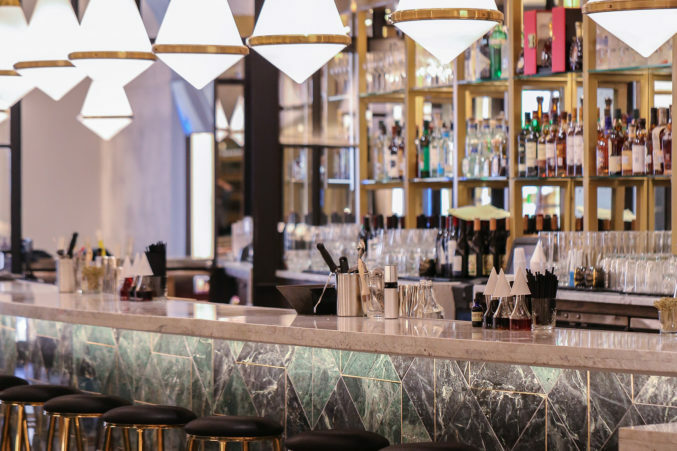 The Moth has two Cicerones (beer sommeliers) who curate a stellar craft-beer selection and rotate the 40 taps and 80-plus bottles by the season. Check its website for special tappings; you can sample rare and limited-release beer from small kegs. Readers’ Pick: The Holy Grail Pub updates its seasonal craft-beer menu twice a week from a roster of more than 150 beers. Inspired by the Rose Bar in the Gramercy Park Hotel in New York, this lavish lounge in the Design District from restaurateur Joseph Palladino (Nick and Sam’s) is furnished with intimate arrangements of emerald-green barrel chairs and banquettes. Order up kimchi fried rice and mini Cubans from chef John Tesar to share. The bottle service requires even more green—there are five Champagnes priced $400 and up. Readers’ Pick: Candleroom’s satin and velveteen finishes give the Knox-Henderson staple a familiar yet enigmatic mood. Bar owner and mixologist Charlie Papaceno opened this cheerful hang in The Cedars late last summer following his departure from notable Dallas cocktail den the Windmill Lounge. At his new joint, guests can gulp a pint of frothy beer or sip an elegantly crafted cocktail in the spacious game room while playing pinball, shooting pool, or attempting to beat the high score on Ms. Pac-Man. Readers’ Pick: With alcohol and arcade games, Barcadia is a utopia for those seeking to eat, drink, and play. Every Thursday night, Oliver Peck, DJ Hammertimez, and George Quartz oversee a lively bill of wannabe singers at themed karaoke parties (Dad-Bod Beach Party was a recent one) in Deep Ellum. 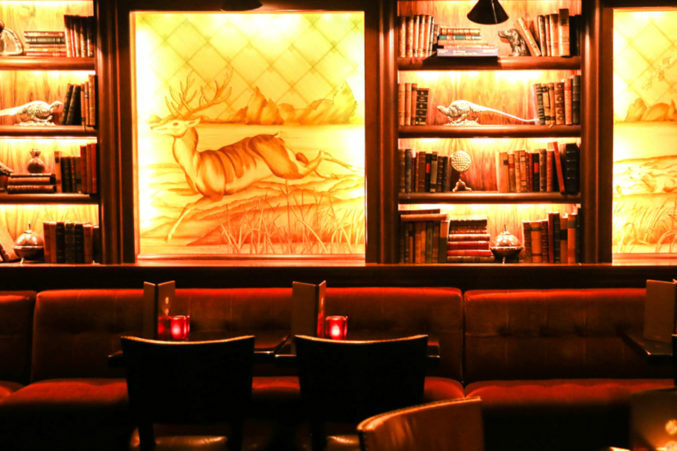 Readers’ Pick: Expo Bar Dallas is located in the former home of Meridian Room and has karaoke on Thursdays and Saturdays. This Cedar Springs country-and-western-themed bar has been a pillar of Dallas’ gay community for more than 30 years. It’s also (not unrelated) the unofficial after-party location for the fashion industry. Whether looking for an authentic two-stepping experience, spectating from the sidelines, or belting out karaoke in the parlor, there’s something for everyone. The lively bar also serves up drink specials every night. 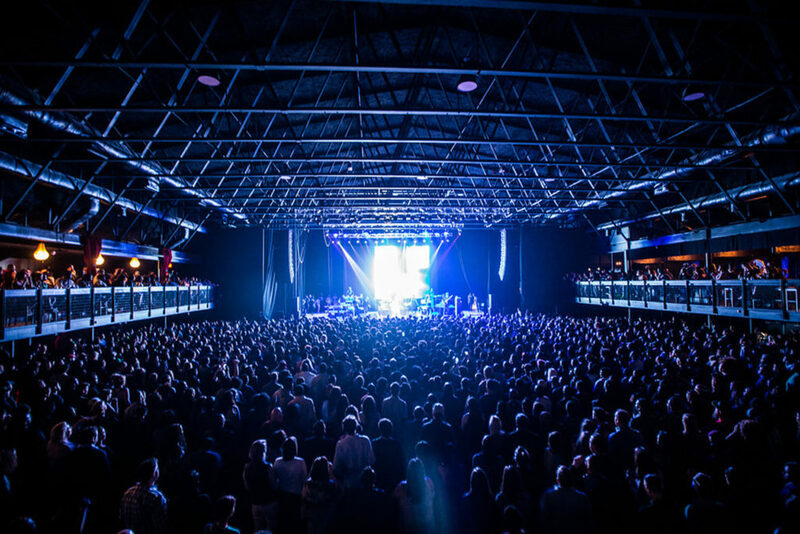 This former actual bomb factory in Deep Ellum has the best sound, the best sight lines, the best staff, a diverse and impressive lineup of acts—it does everything except enjoy the show for you. Brought back last year after almost two decades of dormancy, it’s a rare case where the sequel is better than the original. Readers’ Pick: The Rustic’s stage was designed for both large and small shows, stretching from the inside of the restaurant to the backyard. It’s not uncommon to see three generations of one family chatting over steaming bowls of late-night canh chua (traditional Vietnamese fish soup) and heaping plates of spring rolls at this popular Asian restaurant long after the sun has set. While located in the corner of an unassuming strip mall in Northeast Dallas, Bistro B can’t be missed with its radiant twinkling lights and—when in season—fragrant orange trees near the entrance. Once inside, you’ll find more than 300 menu items, ranging from fried rice to traditional American breakfast plates. Readers’ Pick: Velvet Taco’s gourmet tacos are good whenever but especially late at night. Given its location on the edge of Uptown, casual atmosphere, and inviting backyard, The Rustic attracts a mix of people, making it one of Dallas’ best destinations for matchmaking. Grab a drink and let go of any lingering inhibitions. Leave your Mason jar of quarters at home. For $10 at the door, you get a paper bracelet and the freedom to play 60-plus retro arcade games for the rest of the night. 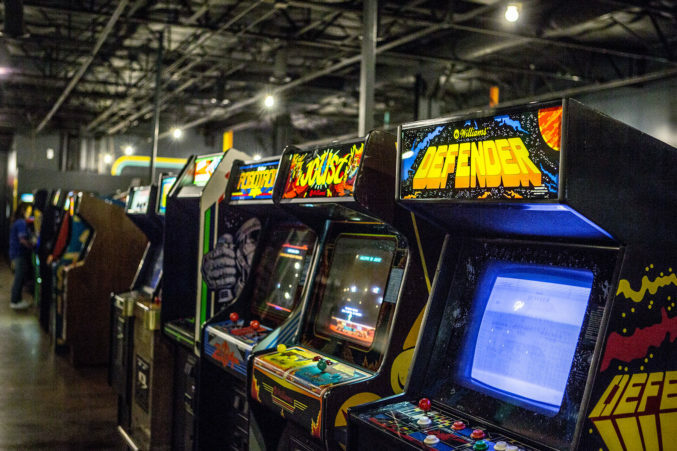 From Centipede to Ms. Pac-Man, Defender to Mortal Kombat II, you’ll have your choice of overly pixelated throwbacks—plus plenty of pinball machines for those who prefer the silver ball. Kids are kicked out at 9 pm. Sip A Little Sumpin’ Sumpin’ Ale from Lagunitas while dominating Soulcaliber. Every “Game Over” is just an opportunity to play again. Readers’ Pick: Candleroom is a dance club with an energy that allows people to connect. 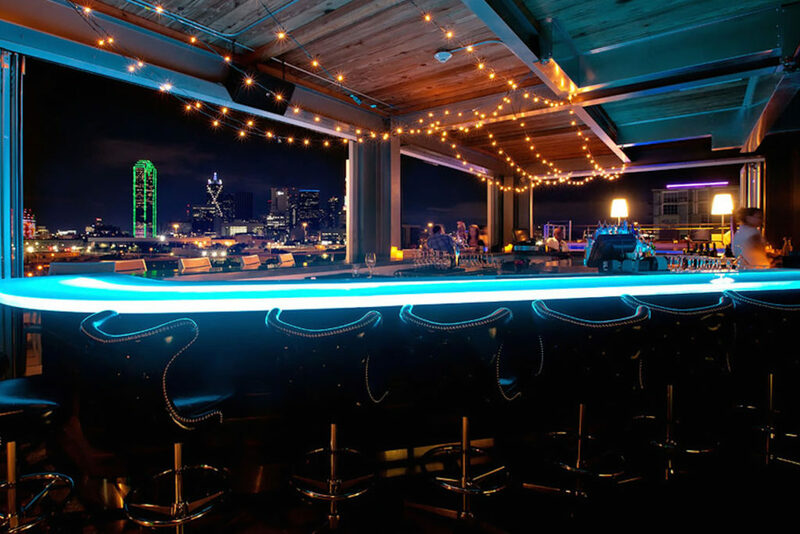 Located on the sixth floor of NYLO Dallas South Side hotel, SODA Bar’s vantage of the skyline is the most ’grammable in town. The glowing neon bar and attractive clientele complement it nicely. Order a specialty cocktail and look around, but stay out of the infinity pool. It’s for guests only. Readers’ Pick: Located on the corner of Olive Street, Happiest Hour is the newest member of the heating-up Harwood District.